When I see Emley Moor Mast, I know I’m nearly home. 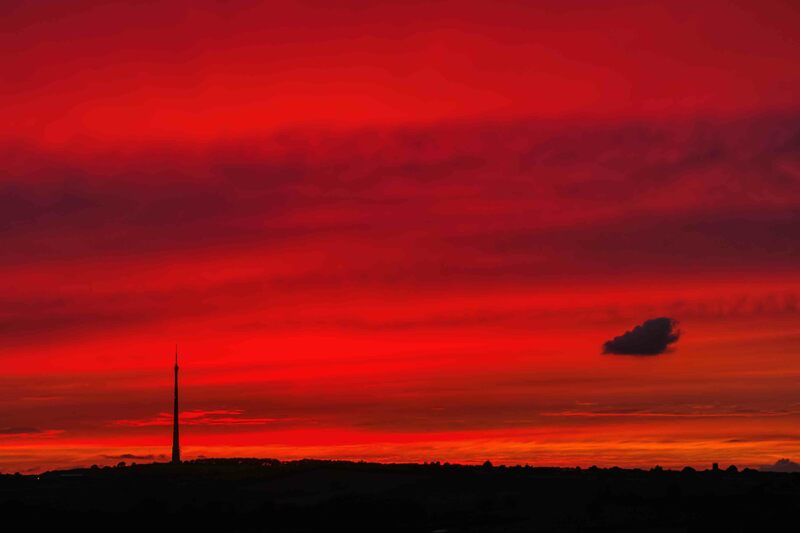 At 330 metres tall it’s taller than London’s Shard; sitting on top of the Moor it’s even higher. On a night like to tonight, much more spectacular. That should sell well in Leeds come October!